If you could see me right now, you would see that I’m jumping up and down with joy. I just finished scrubbing all of our blinds – by hand – after months of living here. SLOW is my game. A big shout-out to my husband for helping me finish the last two blinds, which I think were the worst (mainly because I was sick of washing the preceding 12 blinds). I’m always on a salad kick. My salad go-to is always a spring mix + fruit salad of some sort but every once in a while, I venture into the unknown and I try something more unique. 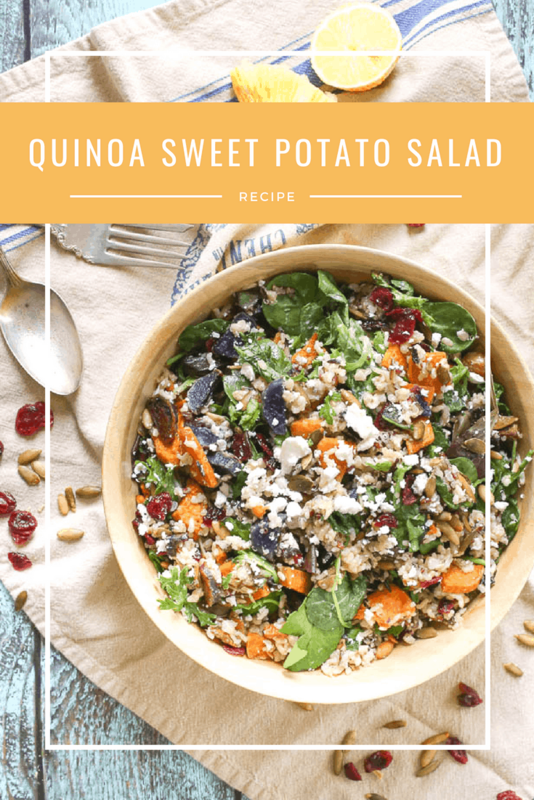 This quinoa sweet potato salad is a mix of healthy goodness and colorful veggies. The sweet potato lends a very light sweetness that is complemented by the dressing. 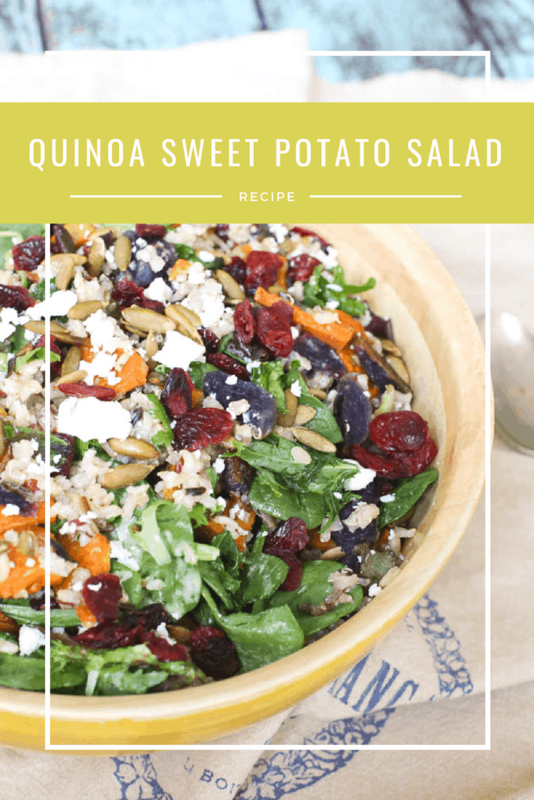 Pumpkin seeds and cranberries are always a good duo but I think they are even better paired with the quinoa and potatoes in this salad. 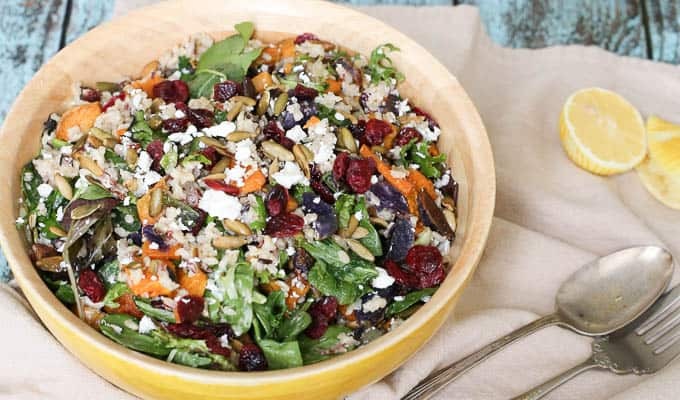 If you need a season-less salad that’s hearty and healthy, this is it! Carefully fold potatoes, leafy greens and rice mixture together. Stir in dressing. Sprinkle feta cheese, pumpkin seeds and cranberries on top.